Electrical Vaporizer , Acrylic body and Glass Head , with ON/OFF switch. Assorted Colors May Vary. 2..
Easy Vape Vaporizer Hose. 32". 1ct. ..
Acrylic Vape Handheld Vaporizer. 4.5". 6ct. ..
Square Reload 5pk Atomized Cartridge. 6 Packs In A Box With 5 Cartridges Per Pack. Each pack c..
Square Reload Minty Menthol Starter Kit. 6ct. The Square Reload is the first premium rechargeable..
Square Original Red Reload Starter Kit. 6ct. The Square Reload is the first premium rechargeable ..
AtmosRx Ceramic Heating Chamber - Black. 1ct. This is where all the magic happens. Made out of ce..
AtmosRx Ceramic Heating Chamber - Blue. 1ct. This is where all the magic happens. Made out of cer..
AtmosRx Ceramic Heating Chamber - Green. 1ct. This is where all the magic happens. Made out of ce..
AtmosRx Ceramic Heating Chamber - Silver. 1ct. This is where all the magic happens. Made out of c..
Eclipse Vape H2O Vaporizer. 1ct. Color May Vary. ..
Eclipse Vape Vaporizer. Assorted Color. 1ct. 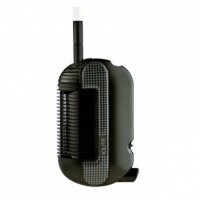 ..
Iolite Portable Vaporizer Black. 1ct. The IOLITE vaporizer is both completely functional, producing ..
Iolite Portable Vaporizer Blue. 1ct. The IOLITE vaporizer is both completely functional, producing a..
Square 82 Disposable E-Cig. 12 Ecigs In A Box. Square’s disposable line of electronic cigarettes ..